VetRxDirect. Caring for Pets. Supporting Vets. At VetRxDirect we're animal lovers and veterinary experts. And, like you, we're always looking for ways to save time and money. That's why our founder, a long-time, trusted Midwestern veterinarian, started VetRxDirect. He knows pet owners want an affordable, convenient way to buy pet medications. But none of the online pharmacies met his standards for quality and for honoring the foundation of the veterinary profession: the doctor-client-patient relationship. That relationship is at the heart of VetRxDirect. We don't take the place of your vet: Your veterinarian is always your first—and best—resource for advice. Instead, we work with your veterinarian to ensure your pet receives the right medication and care. 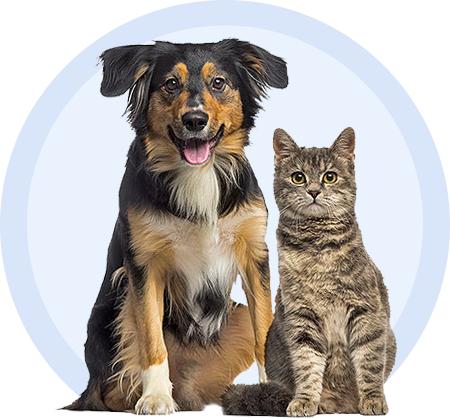 Unlike other online pharmacies, we only fill prescriptions approved by your veterinarian. We fill orders through our pharmacy staffed with pharmaceutical and veterinary experts who dispense only the highest quality drugs in compliance with the manufacturer's requirements. We're also experts at compounding drugs—customizing medications to make it easier to administer to your dog or cat. Security and Privacy: Our site is SSL-secured and your information is safe. We will never share, distribute, or sell your personal information. Selection and Value: You will find a wide selection of pet medications at low prices. Expert Service: Our customer service team is happy to answer your questions and quickly resolve any problems. Our returns process is fast and easy.